Howard Caplan poses for a photo outside his Northeast Philadelphia polling place a few minutes before polls closed on November 8, 2016. 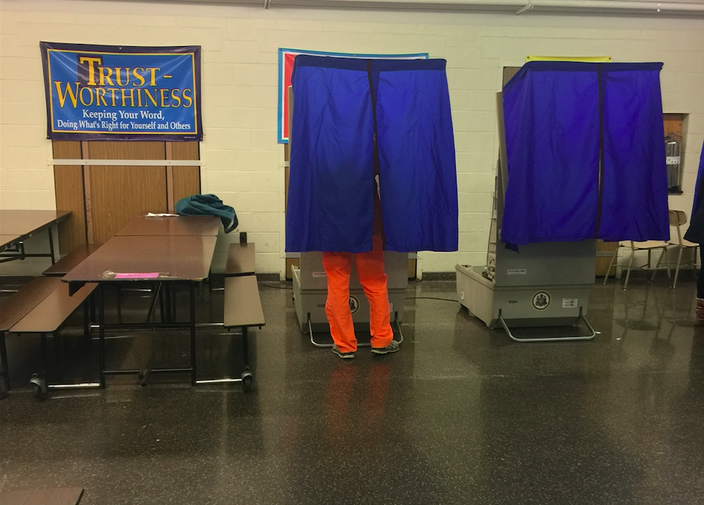 On Tuesday night, he voted against the Democratic candidate for president at Gen. Harry Labrum Middle School in Northeast Philly. Suffice it to say, as he did at that heavily trafficked intersection, Caplan drew much attention in, and outside, the polling place that was relatively empty at the end of a high-turnout day where one division reported roughly 600 of 790 voters had cast ballots. In the weeks since our story ran, he’s “trolled the Hillary office on Bustleton Avenue” when Madeline Albright and Natalie Portman visited, and garnered some attention outside Saturday night’s Katy Perry concert – aka a Clinton GOTV rally – at the Mann Center. As for activity on the corner, he said passersby started calling out his name. The ones who appreciated what he was doing, that is. Howard Caplan, who held a 'Hillary 4 Prison' sign at Roosevelt Boulevard and Grant Avenue for several weeks, casts his vote for Donald Trump and Gen. Harry Labrum Middle School in Northeast Philly. After voting on Tuesday, people hanging outside the polling place posed for pictures with him and talked about how heavy turnout in this pocket of Northeast Philadelphia bodes well for Donald Trump. 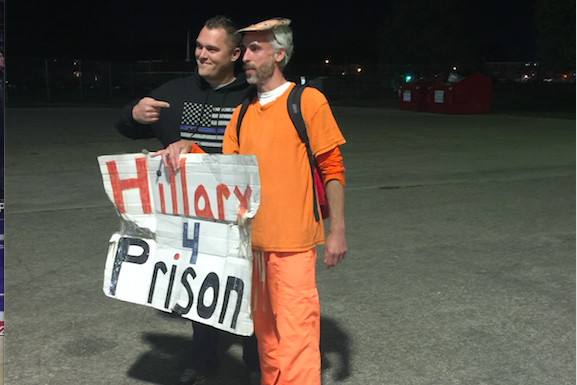 Several Trump signs were posted outside while a few for Hillary leaned against a wall. Like most Americans, he’ll be closely watching the results as they come in Tuesday night. He’s convinced Trump will win Pennsylvania despite many predictions to the contrary. But what will he do now that the election is over?